NROL-61 is the third mission of the U.S. National Reconnaissance Office in 2016, lifting into orbit a classified satellite to support the agency’s spy satellite programs. The NRO is an intelligence agency tasked with the design, construction and operation of all U.S. reconnaissance satellites as well as the distribution of satellite intelligence to other agencies including signals intelligence for the NSA, image reconnaissance to the NGA and measurement and signatures intelligence to the DIA. Established back in 1961, the NRO is shrouded in great secrecy and most of its active programs are highly classified with declassification only possible decades after the end of specific programs. As an intelligence agency, the NRO makes great efforts to keep its activities secret, therefore the identity of any and all NRO satellites are classified. However, it is possible to identify the nature of satellites by analyzing their launch trajectory as available in navigational warnings to mariners and pilots, the type of launch vehicle to constrain an approximate satellite mass and the launch window to assess possible target orbits. Typically, NRO satellites are tracked in their secret orbits within a few days by a worldwide network of satellite observers, revealing from where they operate which usually provides a good idea of a satellite’s purpose. The NROL-61 payload uses an Atlas V 421 launch vehicle with a four-meter payload fairing and two Solid Rocket Boosters – making use of the Atlas V’s ability to be tailored to specific payload needs by adding boosters to the vehicle’s Common Core Booster to achieve the required performance to the target orbit. 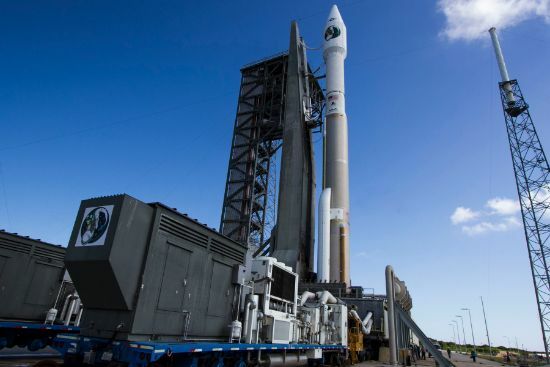 To date, Atlas V 421 has flown five times, lifting the first two Wideband Global Satcom satellites in 2007 and 2009, a pair of commercial communications satellites in 2008 and ’15, and NASA’s MMS mission in 2015, probing the secret’s of Earth’s magnetosphere. 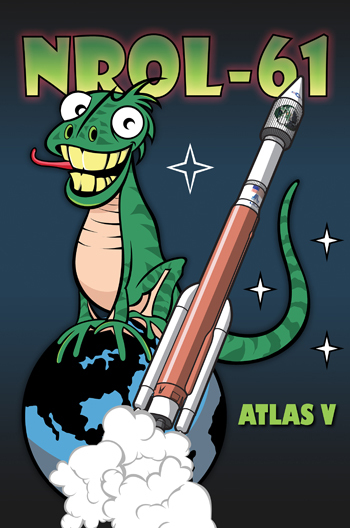 No NRO mission utilized this version of the Atlas V – clearly suggesting this to be a new type of satellite or a modified follow-on to an existing project. Another oddity found in the launch vehicle configuration is the payload fairing flown on this mission – the Extra Extended Payload Fairing (XEPF) that is 13.8 meters long, providing a larger payload volume for particularly tall birds. 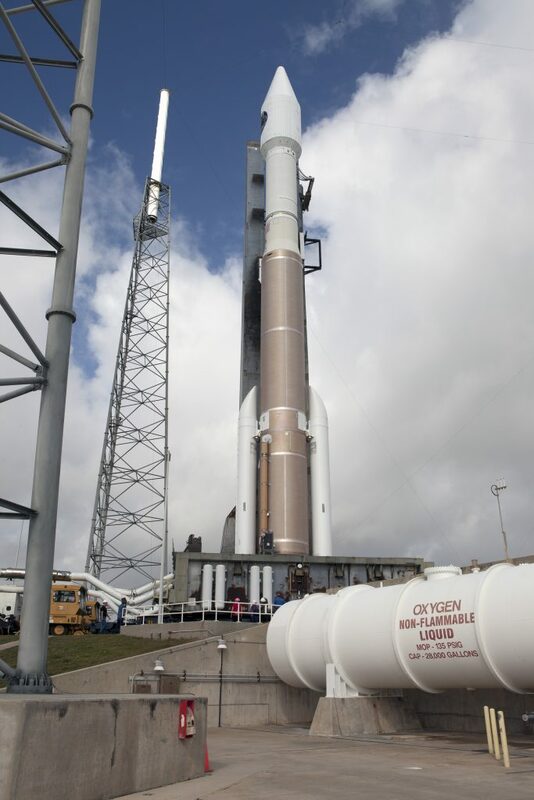 The most revealing clue helping in the identification of the payload is the 99-degree launch azimuth to be flown by Atlas V – departing Cape Canaveral to the east-south-east. 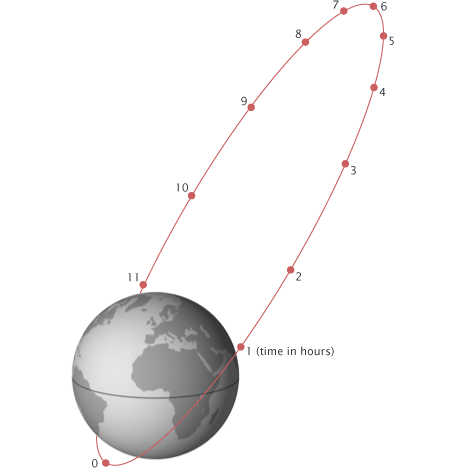 This is the standard departure path for either Geostationary Transfer Orbit missions or direct Geosynchronous Insertions – ruling out a delivery to a highly elliptical Molniya orbit inclined 57 to 63.4° or any inclined Low Earth Orbit. The most likely candidate for NROL-61 is it being the first in the fourth generation of the Satellite Data System, a fleet of relay satellites operated in high orbits to deliver data from reconnaissance satellites in lower orbits including the flagship KH-11 image reconnaissance craft, enabling transmission of imagery in near-real time to support operational applications. The Satellite Data System, also known by its code name Quasar, saw its first launch in 1976 using a Titan-3 rocket. The first generation satellites – at least seven of which were launched until 1987 – weighed in at under one metric ton and operated from a Molniya-type orbit with their apogee locked over the northern hemisphere to enable data relay from the polar regions. In addition to satellite data relay, the SDS craft support communications to U.S. Air Force aircraft in the northern regions and connect the Air Force Satellite Control Network ground stations. The second generation of Quasar satellites was inaugurated in 1989. Three were launched on the Space Shuttle while the last one, lofted in 1996, used a Titan-4 rocket. 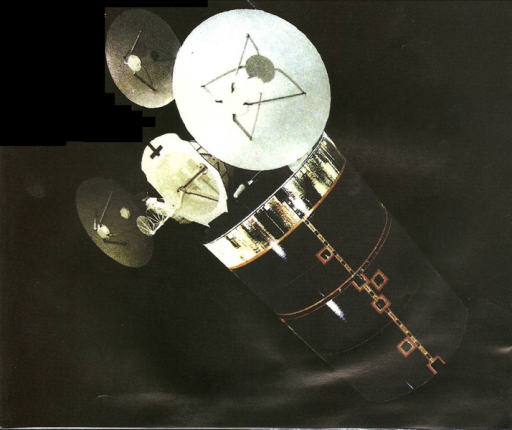 It is believed that the second generation SDS carried an infrared early warning system for the detection of ballistic missile launches with the satellites weighing in at around three metric tons. Three of the SDS-2 satellites were delivered to Molniya-type orbits with a 39,700-Kilometer apogee while one entered a Geostationary Orbit. The third generation of SDS satellites incorporates a combination of satellites in highly elliptical Molniya orbits for coverage of the northern regions and spacecraft in Geostationary Orbit to deliver round-the-clock global coverage. The replenishment of Molniya satellites apparently ended in 2007, likely marking the transition to a purely GEO-based system. Improvements in technology have allowed GEO satellites to service high-latitude regions, though polar coverage is still a challenge when only using satellites in GEO. Eight third generation SDS satellites were launched between 1998 and 2014 with a launch cadence of around two to three years to keep the constellation at operational strength. The satellites used Atlas-IIAS, Atlas-V 401 and Delta IV M+(4,2) launch vehicles. NROL-61 likely represents the first in the next generation of SDS satellites – based on the type of launch vehicle, its ascent trajectory and the timing of the launch two years and two months after the most recent Quasar launch, fitting the overall replenishment speed of the satellites. The use of the more-powerful Atlas V 421 indicates the next generation of SDS satellites has gained mass compared to their predecessors. With the help of its twin boosters, Atlas V 421 can lift 6,890 Kilograms into Geostationary Transfer Orbit compared to 4,750kg for the 401 version without any boosters – indicating that the satellites may have gained as much as two metric tons in mass or are aiming for a higher-energy insertion orbit closer to their operational GEO. Previous SDS launches utilized the Long Payload Fairing of the Atlas V rocket measuring 12 meters in length, suggesting the next generation of SDS satellites requires more space inside the fairing, most likely for more or larger communications antennas. 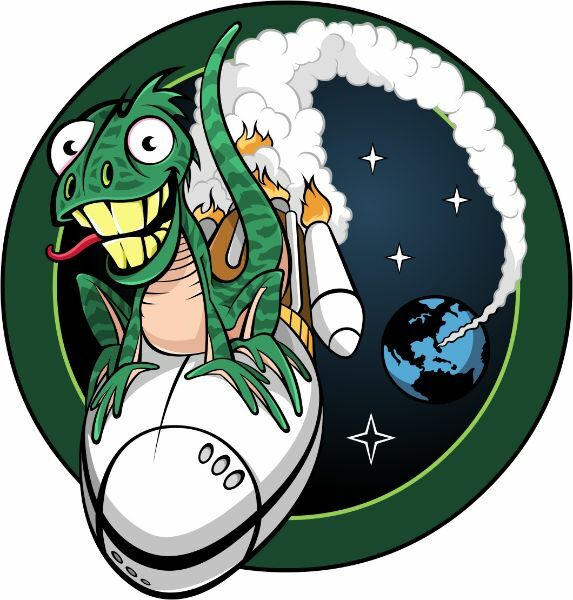 The NROL-61 mission also continues a trend of interesting mission insignia being chosen by the National Reconnaissance Office that is known to sometimes drop some hints regarding the payload’s identity into the patch design. 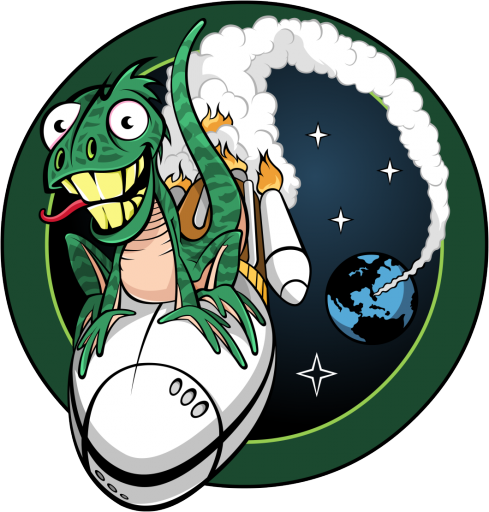 Prominently featured in the patch is an ascending Atlas V launch vehicle with an anthropomorphized lizard or dragon riding shotgun on the vehicle’s payload fairing. A pillar of smoke from the rocket’s business end connects the ascending vehicle with its Cape Canaveral launch site, though the trajectory is not representative of the actual launch azimuth. The mission patch features four stars – one larger than the other three which may suggest this launch represents the fourth generation of a particular satellite program – which would fit the SDS theory. However, the possibility of this being a one-off or completely new satellite operating from GEO can not be ruled out until the spacecraft’s behavior in orbit is known. 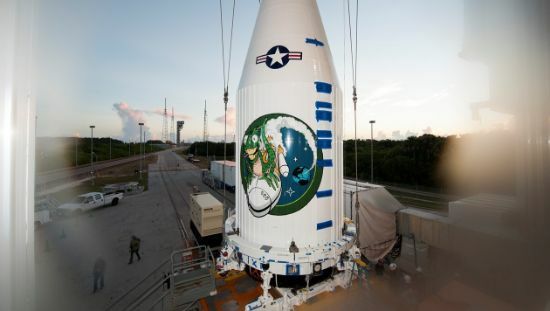 A worldwide network of satellite trackers will attempt to spot the NROL-61 satellite after launch and track its climb into Geostationary Orbit and possible moves it will make to enter its operational spot above the Earth to provide further proof of the satellite’s identity.